Earthquake activity surprised a lot of Arizona residents Sunday night. The 4.1 magnitude earthquake was centered seven miles north of Black Canyon City. It was preceded by a 3.2 magnitude quake, and was followed by a 4.0. “We haven’t had any damage reports”, says USGS geophysicist Zachary Reeves. “One person who called said that they were jolted off their couch. But it was also 11:30 p.m., so I would assume that most people were probably in bed”. Reeves says there have been quakes this size before in Arizona, but not many. 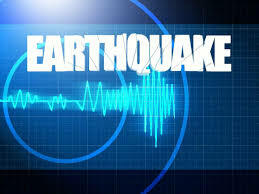 A 4.7 magnitude earthquake hit the Sedona area last November. No serious damage was reported in that one either. Department of Transportation officials say they did routine checks to make sure the integrity of state roadways didn’t suffer any hidden damage during the quakes. Several thousand customers of APS were left without power late Sunday night, though the outages haven’t yet been positively connected to the shakers.